At the program unveiling for the 26th Santa Barbara International Film Festival on Thursday, January 6, festival director Roger Durling expressed delight at the “grander” scale of the 2011 program, which he has dubbed a year of “dreaming bigger dreams.” Durling’s eighth anniversary at the helm reveals the maturing of his vision and the fulfillment of the festival’s potential as a key event in both the international film calendar and the artistic life of Santa Barbara. The tributes are packed with Oscar frontrunners, the opening, closing and centerpiece films all look strong, and there are 30 world and 33 U.S. premieres to screen. The opening night film, Sarah’s Key, screens at the Arlington on Thursday, January 27. Sarah’s Key stars Kristin Scott Thomas as an American journalist who discovers an unexpected link to her own past while researching a World War II story in Paris. The Centerpiece film is That’s What I Am, new director Mike Pavone’s film about bullying with Ed Harris and Amy Madigan. The Closing night feature is Carmen in 3-D, a world premiere that will also make opera history as the first cinematic presentation of an opera in the 3-D format. The production, which was originally created by Francesca Zambello for the Royal Opera House in London in 2006, was restaged with the same costumes, sets orchestra, and cast in 2010, which is when RealD, the Beverly Hills 3-D cinema technology company, captured it. Christine Rice is Carmen, and the running time is an operatic (bigger dreams alert!) two hours and fifty minutes with one 20-minute intermission. Expect to be surrounded by the flashing thighs of chorus girls and jealous, knife-wielding gypsies. The tributes begin in a four-day burst of bigger dreams with Annette Bening on Friday, January 28, James Franco on Saturday, Inception director Christopher Nolan on Sunday, and Geoffrey Rush on Monday, all at the Arlington. With Leo DiCaprio confirmed to present the Modern Master Award on Sunday to Christopher Nolan, you can count on other big stars to follow suit and make unannounced visits to the other events. Does this mean that his royal highness Colin Firth will grace us with his presence at Geoffrey Rush’s Montecito Award ceremony? There’s one sure way to find out—be there. The entire festival has a presenting sponsor this year, and it’s a local company, Lynda.com, the software training site based in Carpinteria. Lee Unkrich, director of Toy Story 3 will be presenting his work and answering questions for 4,000 Santa Barbara schoolchildren as part of the festival’s “Field Trip to the Movies” program. 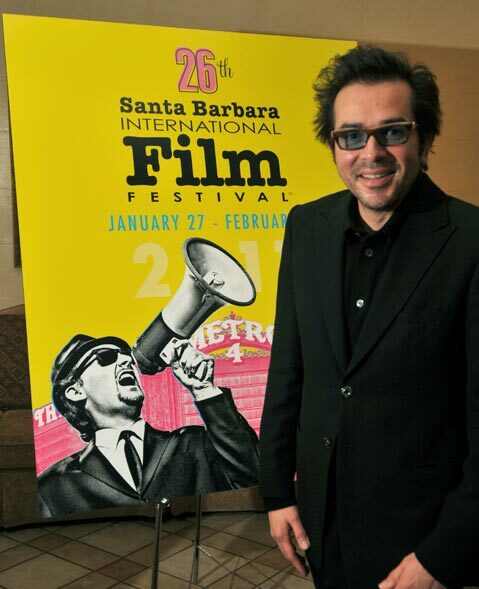 Look for loads more coverage and exclusives throughout the Santa Barbara International Film Festival here on independent.com.